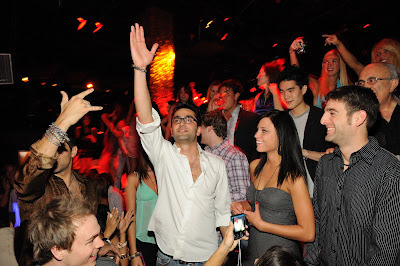 Antonio “The Magician” Esfandiari celebrated his 31st birthday with dinner and a party at TAO. Joined by friends and family the poker pro began the night with an Asian feast from TAO’s kitchen, with specialties including Lobster Wontons, Crispy Tuna and Kobe Sashimi. After dinner they headed up to a VIP table for the nightclub’s Worship Thursday weekly party. Shots of Patron and Grey Goose cocktails were favorites of the group and the birthday boy was presented with cupcakes as a sweet topping for the night.